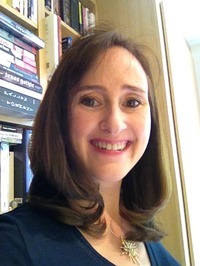 Blurb Description: Welcome to a ‘perfect’ world. I read L.A.Weatherly’s Angel trilogy back when I was in the seventh grade and I fell in love. There was honestly nothing more romantic in my world that a broken Angel Hunter and a Half Angel escaping the power of angels that were slowly destroying humanity together. 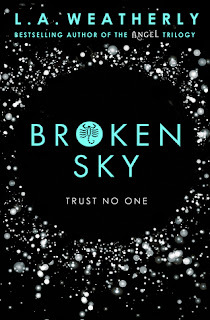 When I finally got the opportunity to read Broken Sky, which I’d heard from numerous bloggers was only better than the Angel trilogy, I dove in with high expectations. The description of the book is sufficiently vague and yet also intriguing and I honestly had no idea what I was getting into. I was automatically expecting something along the lines of the Supernatural because of the author’s last series, and I was immediately thrown by how political it was. 1. It took me a WHILE to truly get into this book, mostly because I was expecting something of the supernatural variety. 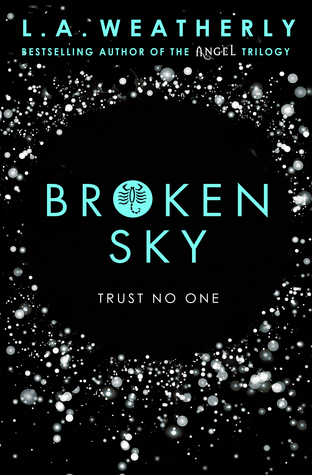 Broken Sky was definitely more a down to earth dystopian novel in a world that wanted Harmony, but was so subtly influenced by political leaders and changed to the whims of one man that it scared me. 2. Let me explain that statement. It was scary that the control of this world went seamlessly to one man, but more than that, it was the fact that the world was ready for it. I mostly don’t believe dystopian novels (I mean who would really sort the whole world into Amity, Dauntless, Candor and Abnegation?) but Broken Sky had this subtle touch that MADE ME BELIEVE. 3. Despite the fact that it took me a while to get used to this book, I did fall in love with it. One of the things I loved the most was the camaraderie between the Peacefighters. I felt like we didn’t see Amity’s colleagues enough but I loved all of them together, risking their life for what they believed in. 4. I liked Amity. I didn’t understand how she “scowled all the time to showcase her happiness / because she was afraid to showcase it” but she was this HONEST, GOOD character who lived for the adrenaline and to make the world a better place. 5. I love that this was told from two points of view –Amity’s and also an astrologer who lived in the Central States – one of Amity’s rival countries. It gave you a whole new perspective on the people pulling the strings and it was quite fun to read. ESPECIALLY AFTER THAT TWIST AT THE ENDING BECAUSE WHAT? 6. I will admit that the writing felt a bit choppy. It kept going back and forth in time (memories) and it was rather strangely explained history of the new dystopian world that had been created. It took me a while to understand and to catch up before I truly began to enjoy the book. Honestly, not the book I was expecting but an adrenaline filled, politically motivated WONDERFUL book from an author that I truly respect. GET YOUR HANDS ON IT! 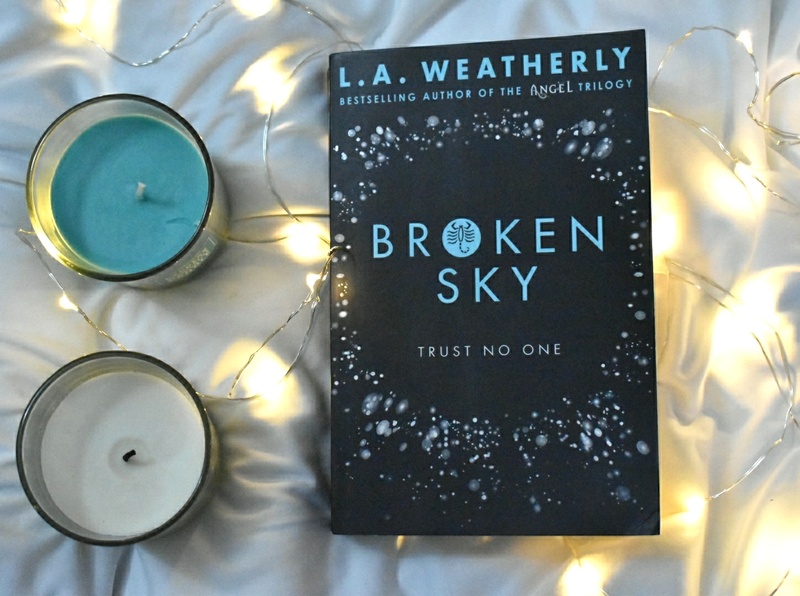 Have you read either the Angel Trilogy or the Broken Sky Trilogy by L.A.Weatherly? What did you think of them? What do you think of astronomy? Do you believe in it?